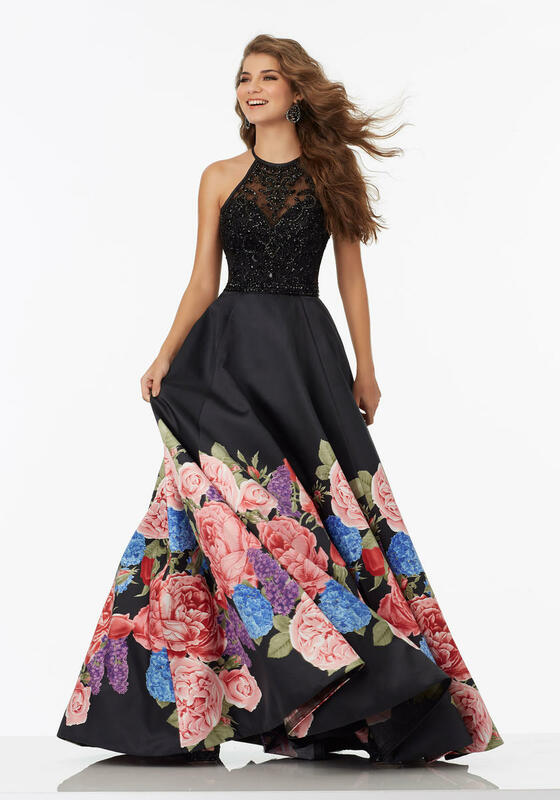 Floral Printed Satin Prom Gown with Beaded Net Bodice and Criss-Cross Back. Skirt Features Pockets. Zipper Back Closure. Colors Available: White Floral, Black Floral.